We didn't even know there were 93 farmers in that part of the capital, let alone that each got an average £121,000 from Brussels. Blimey. 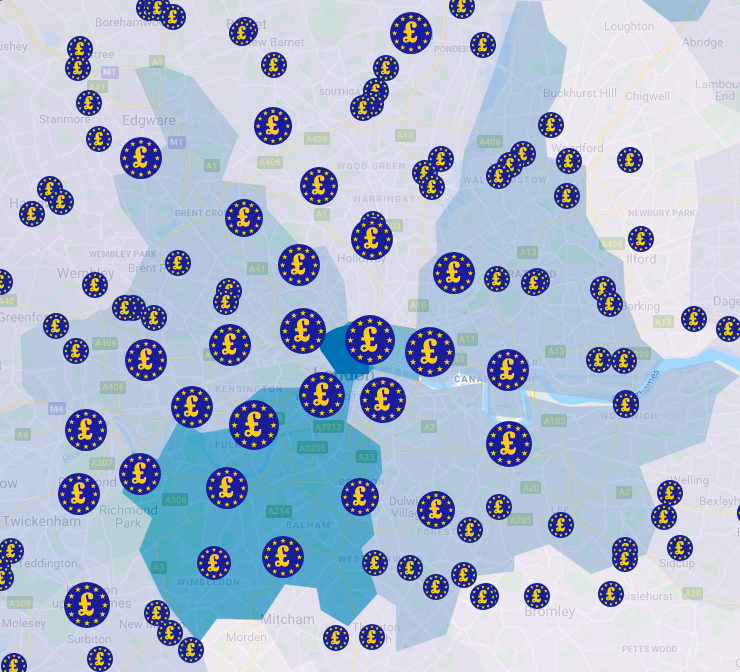 The nugget comes from myeu.uk, an interactive map of the country that shows projects funded by the EU. The London area includes thousands. Science is a particularly big winner. The new Francis Crick Centre behind the British Library has received funding for 76 separate projects, including novel research into HIV, malaria and cancer. Imperial College has drawn over 1,000 grants since 2014. The cultural sector was also a beneficiary. The British Museum, for example, received £170,486 in 2017 as part of a programme 'generating, developing and transferring new skills, knowledge and innovation', on top of more than £7 million for research projects. The V&A, meanwhile, gained £59,399 towards a 3D digitisation project, among other grants. We can only scratch the surface. A few further examples we randomly discovered while clicking around serve to show the breadth of investment. More than £1 million to Hackney Wick to support art in social and community contexts. Almost £45,000 to a Down's syndrome charity based in Teddington to increase inclusivity. £51,000 to a Whitechapel SME to build new tools for journalists. London Symphony Orchestra received £146,000 for community choir projects. We're a London site, so we've focussed on London, but thousands of other grants are shown elsewhere in the country. For the sake of balance, we should point out that withdrawal from the EU will not necessarily mean that projects like these will suddenly go unfunded. The government may choose to support a similar spread of initiatives, partly from the money saved from the end of European contributions. Then again, it might not. 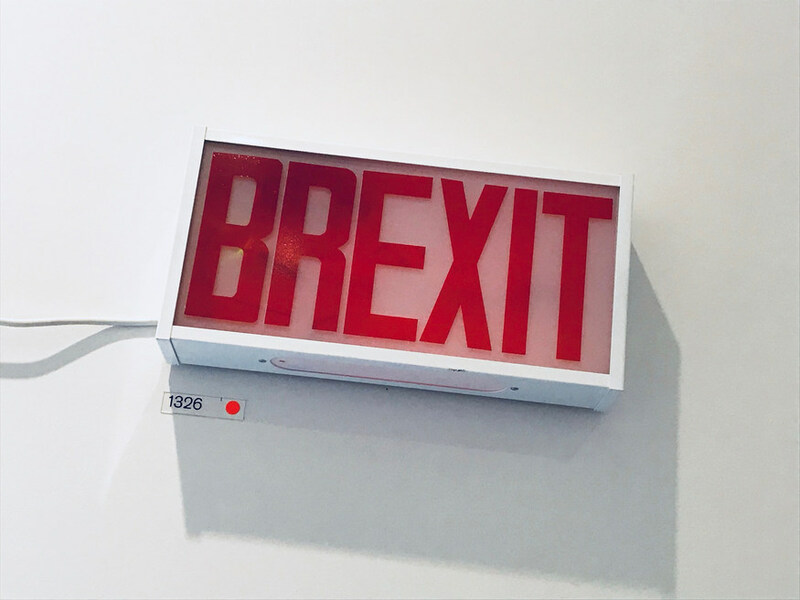 At the very least, Brexit will mean a huge shake-up of funding channels, with many potential losers. 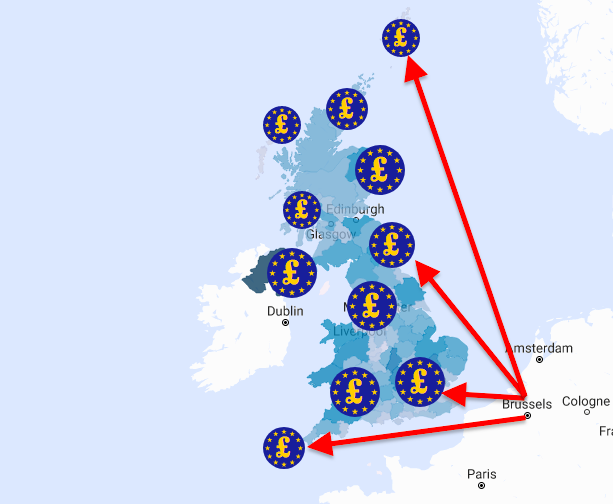 The myeu.uk map pulls off an improbable trick: making EU funding decisions addictive to explore. Have a play with the map, check out your local area, and share any unexpected discoveries in the comments. Notes on sources, methodology and completeness can be found on the myeu.com website.